Walter L. Nickerson, 85, a lifelong resident of Pelham, died Wednesday morning, July 11th at his home surrounded by his loving family following a long and courageous battle with Amyotrophic Lateral Sclerosis. He was the beloved husband of Irene C. (Deschene) Nickerson who survives him and with whom he recently celebrated their 61st wedding anniversary on June 29th. Born in Medford, Massachusetts, December 20, 1932, a son of the late Lester E. and the late Anna M. (Cooley) Nickerson, after his family moved to Pelham, he attended the Sherburne School and was a graduate of Lowell High School with the Class of 1950. A combat veteran of the Korean Conflict, Walter proudly served his country in the United States Marine Corps and was awarded the Korean Service Medal, UN Service Medal and the National Defense Service Medal. 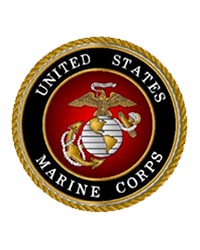 He was honorably discharged in 1954 as a Staff Sergeant. Before retiring, he was owner and operator of Nickerson Heating, Inc. in Pelham for many years. Previously, he worked at Litchfield Oil Company in Lowell in heating installation and service. Among his many interests, Walter was an avid gardener and was well known for his annual 13 foot high sunflowers. His greatest joy however, was the precious time he was able to spend with his wife, children and grandchildren. In addition to his wife Irene, Walter is survived by two daughters Gail J. Nickerson and Doreen N. Rossi and her husband Chuck all of Pelham; two sons Walter L. Nickerson and his wife Linda of Pelham and Wayne D. Nickerson and his wife Lydia of Candia, NH; eight grandchildren Ryan Nickerson of Los Angeles, CA, Doug Nickerson of Portsmouth, NH, Deanna Nickerson of Portland, ME, Eric Rossi, Zac Rossi and Morgan Pratt all of Pelham, Nicki Hunt and her husband Andrew of Dallas, TX and Alex Cote of Pelham, NH; two sisters Carole Howe of Londonderry, NH and Patricia Barnes of Nashua, NH; and several nieces and nephews. He was also brother of the late Bud Nickerson, Lester Nickerson, Jack Nickerson, Albert Nickerson and Alice Gurney. Friends may call at the PELHAM FUNERAL HOME, 11 NASHUA RD. in Pelham for a Memorial Visitation from 5 to 8 P.M. on Monday. Relatives and friends are invited to attend his Memorial Funeral Service to be celebrated Tuesday morning at the FIRST CONGREGATIONAL CHURCH of PELHAM at 10 o’clock. Burial to follow in Gibson cemetery. E-condolences/directions at www.pelhamfuneralhome.com. Those wishing may make contributions in his memory to the ALS Association, P.O. Box 37022, Boone, Iowa 50037-0022 or the V.A. Medical Center, 718 Smyth Rd, Manchester, NH 03104. Arrangements by Funeral Director James F. O’Donnell, Jr. (603) 635-3333.